English, circa 1690. Maker’s mark a ‘B’ in a shield. Posy rings derive their name from the word “posy” or “Poesy” – a derivative of poetry meaning short rhyme. 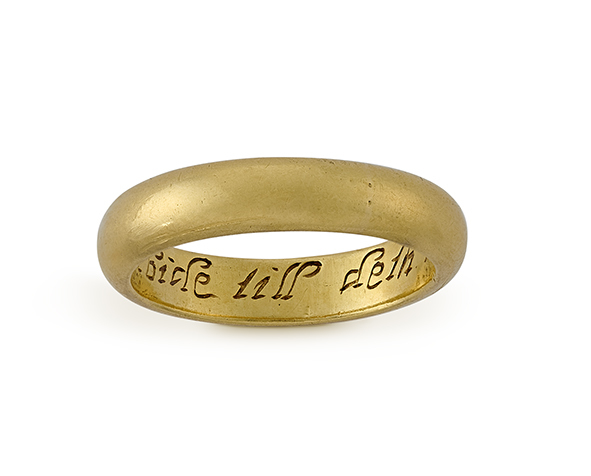 The rings were popular from the late medieval period onwards and were used to communicate secret messages of love between the giver and the recipient. The wearing of words against the skin was believed to increase their poignancy.